Population growth, urbanization, pollution, and climate change pose urgent water challenges in cities. 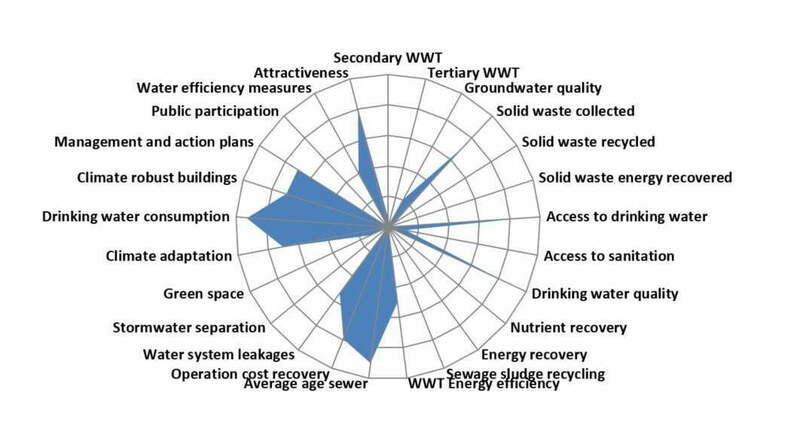 The sustainability of integrated water resources management (IWRM) in Ho Chi Minh City (HCMC) was evaluated using the City Blueprint approach. 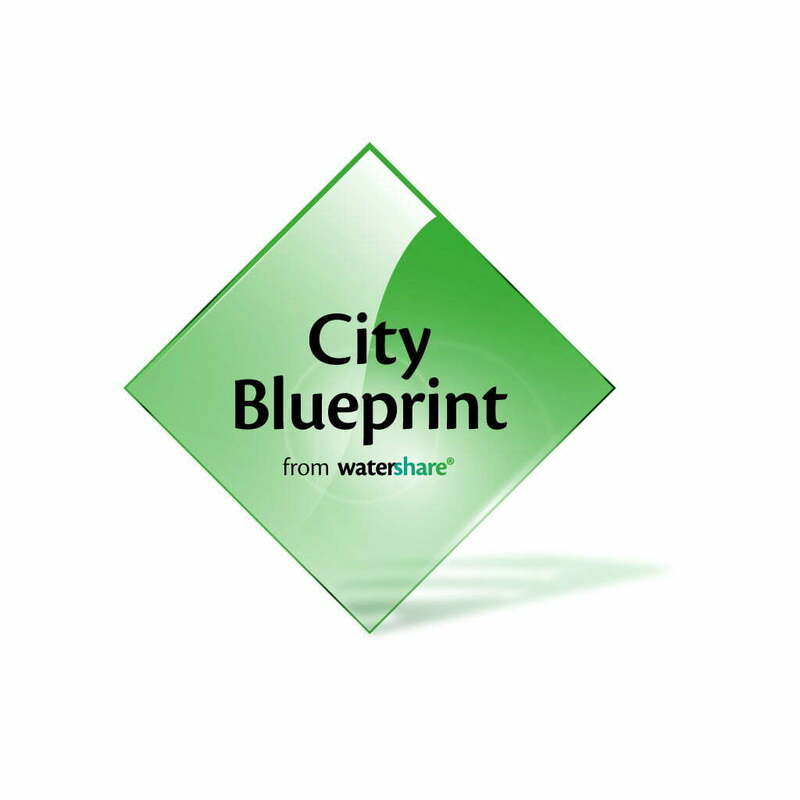 Originally, the City Blueprint was a set of 24 dedicated indicators. The approach has been reviewed and updated and now the City Blueprint consists of 25 indicators divided over the following seven categories: water quality, solid waste treatment, basic water services, wastewater treatment, infrastructure, climate robustness and governance. The indicator scores of each city are shown in a spider diagram. The analysis showed that the rapid increase of water use for urban, industrial, and agricultural activities in HCMC has resulted in depletion of groundwater and severe pollution of both groundwater and surface water. Surface water quality, groundwater quality, biodiversity, and the sanitation of domestic and industrial wastewater are matters that need serious improvement. Current and future water supply in HCMC is at risk. HCMC can cope with it, but the 7 governance gaps as described by the Organisation for Economic Co-operation and Development (OECD) are major obstacles for HCMC. Rainwater harvesting, pollution reduction, as well as wastewater reuse are among the practical options. Wastewater reuse could lower the water stress index to 10%. The publication can be found here. In the City Blueprint assessment, national data are used for surface water quality, groundwater quality, and biodiversity. This leads to a Blue City Index (BCI) of 5.4 for HCMC. When local data are used for environmental quality a more accurate but also lower score for the BCI of HCMC would be obtained (5.0). When the new City Blueprint Approach is used the BCIBCI, the geometric mean of the 25 City Blueprint indicators, becomes 2.4. A long-term, city-level strategy is also needed to make HCMC more robust to climate change and to increase the resilience of its natural, social, and economic systems. However, the window to develop and implement a promising city-level strategy is narrow and rapidly closing. According to the World Bank, HCMC, as well as Beijing and Tianjin, Shanghai, Manila, Jakarta, and Bangkok are prime examples of the region’s megacities with major IWRM-related problems. These cities are all examples of the unprecedented urbanization and economic growth in this continent of the world and an illustration why the water crisis now ranks number 1 in the top 10 risks in terms of impact, as reported by the World Economic Forum in 2015.